We advise you to reserve your table at least forty eight hours in advance for lunch or dinner. 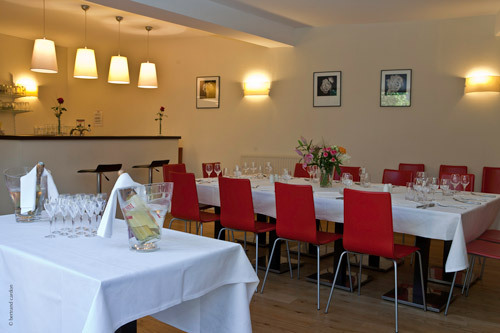 We welcome groups: Le Clos aux Roses can offer a private room which holds up to thirty people. To make a reservation, please either contact us directly on +33 (0) 2 47 92 20 29 or use the below form, and we will contact you to confirm as soon as possible.